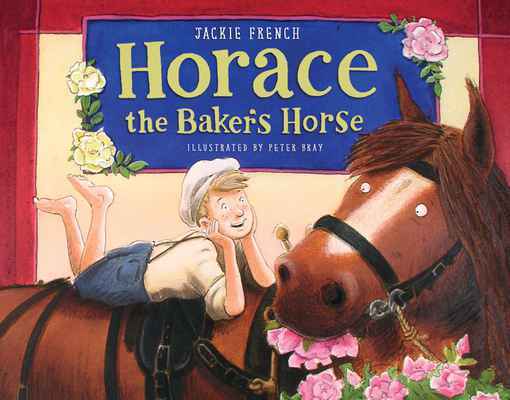 Written by Jackie French and based on a true story told to her by her grandmother, Horace the Baker’s Horse captures a time when horses were part of everyday life. Set in 1919 during the Spanish influenza epidemic, it tells the story of how, when the baker and his family are struck down by illness, Horace sets off on his well-trodden round to deliver bread to the townsfolk all by himself. Peter Bray’s illustrations bring the story to life in vivid detail. Jackie French is one of Australia’s best-loved authors. She is the Australian National Children’s Laureate for 2014 and 2015 and Senior Australian of the Year for 2015. She has written more than 140 books, won more than 60 national and international awards and her books have been translated into 36 languages. Congratulations to the National Museum of Australia! Horace the Baker’s Horse has been awarded the ACT Writing and Publishing Awards Children’s Book Prize. Judges praised the book’s flowing prose and strong basis in historical fact.